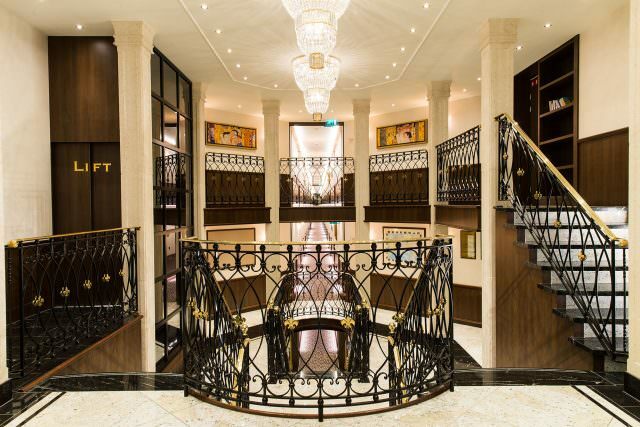 Riviera’s ms Thomas Hardy carries 169 guests along the waterways of Europe. Photo courtesy Riviera River Cruises. 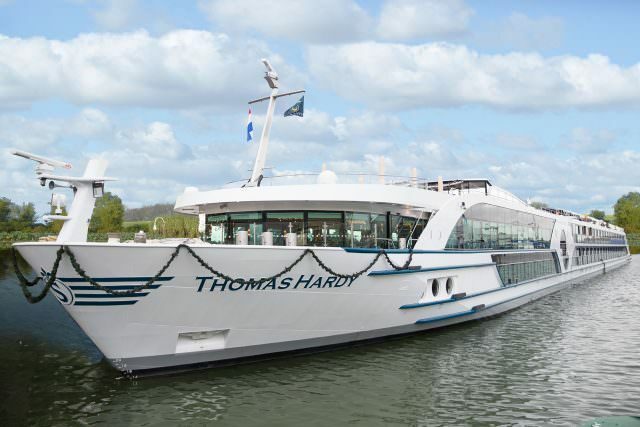 Launched in 2017, the ms Thomas Hardy is the newest river cruise ship to ply the waters of Europe for Riviera River Cruises. Named after the English poet (and not the Mad Max: Fury Road star), she carries 169 guests and a crew of 44 in comfortable, elegant surroundings. The ms Thomas Hardy is a direct sister-ship to the ms Oscar Wilde and the ms Emily Brontë. 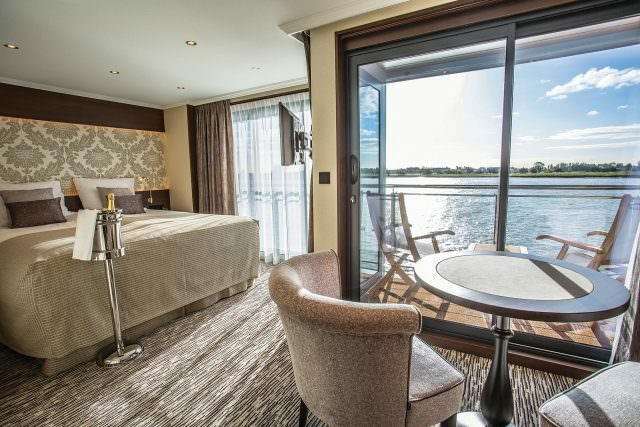 Full-size Deluxe Balcony Suites are the largest type of accommodation available aboard the ms Thomas Hardy. Photo courtesy Riviera River Cruises. Emerald Deck Suites are the entry-level accommodations aboard the ms Thomas Hardy. 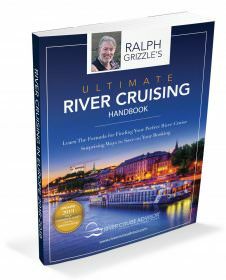 Measuring 172 square feet, they are located on the lowest passenger deck and have fixed, quarter-height riverview windows. Décor is elegant, with backlit headboards and dark walnut cabinetry. 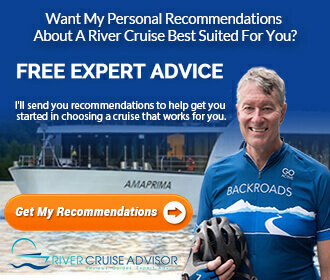 Riviera River Cruises offers some of these rooms for sole occupancy with no additional supplement. Deluxe Balcony Suites are the largest type of accommodations aboard the ms Thomas Hardy. These 269-square-foot suites have an enlarged living and sleeping area, along with a full-step out balcony complete with two chairs and a small table. Public areas aboard the ms Thomas Hardy are elegant and classic. Photo courtesy Riviera River Cruises. Thomas Hardy features a small pool and putting green located on the Sun Deck, plus a small spa and hair salon. 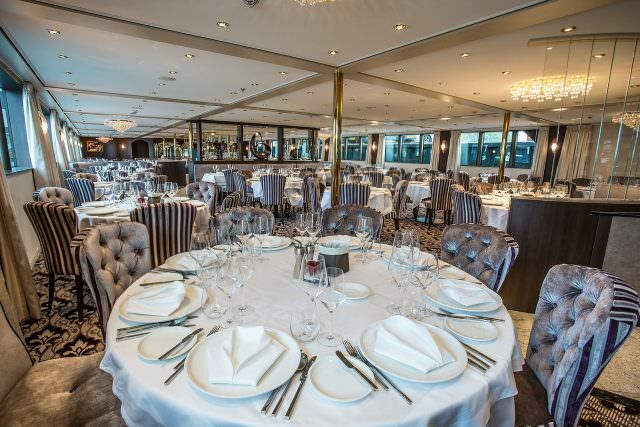 The main restaurant aboard the ms Thomas Hardy serves up buffet breakfast and lunch, and multi-course dinners. Photo courtesy Riviera River Cruises. Although Thomas Hardy has a lift, it does not travel to the uppermost Sun Deck.